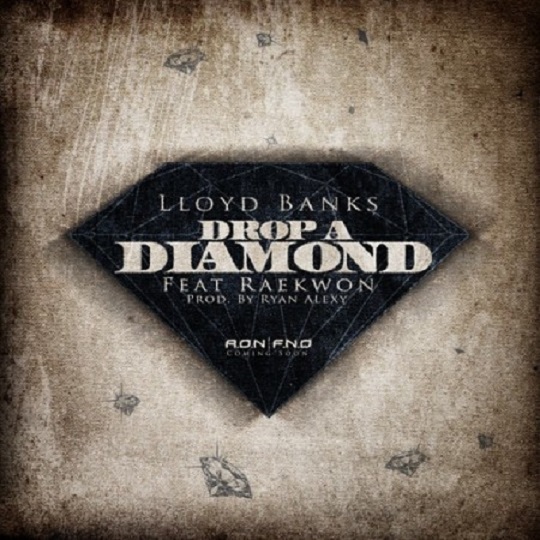 Lloyd Banks is back with a new gritty street banger called “Drop A Diamond” featuring rap veteran Raekwon. Produced by Ryan Alexy, the track features a smooth piano loop and may or may not be a new single to Banks’ anticipated mixtape A.O.N. Vol 1: Failure’s No Option hosted by DJ Drama. Banks showcases his lyrical skills and proves he hasn’t missed a step. This entry was posted in Audio and tagged AON, banks, dj drama, drop a diamond, failure's no options, hip hop, lloyd banks, raekwon, rap, vol. 1. Bookmark the permalink.